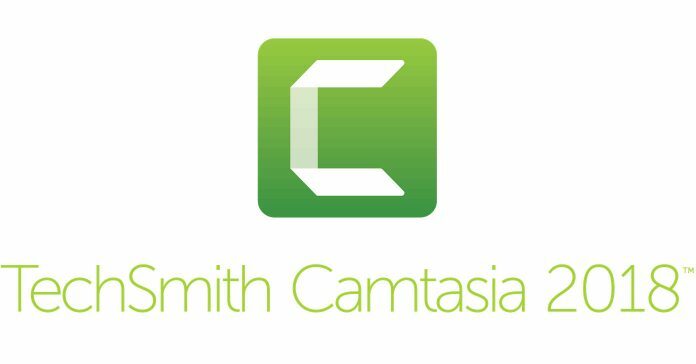 TechSmith Camtasia is a dedicated and purpose built screen recording software suite made up of two main integrated components. The first part is devoted to the recording of events as they occur on your computer screen (Camtasia Recorder) and the second section of the software (Camtasia Studio) enables the user to edit those recordings into a final video presentation. Before we go any further let’s just clarify something here because it does create a little confusion. Screen Recording is the action of capturing events over a period of time as they are occurring on your computer screen or part of it resulting in a video file. Screen Capture is the action of taking a still image (a snapshot) of all or part of the computer screen at any given point in time and results in a still image file. Camtasia is a screen recording software for the purpose of creating videos. Camtasia Recorder is most typically used for demonstrations or instructional type video presentations whereby the user can go through the particular steps of a process onscreen to demonstrate how something is done. Narration can be captured live through a microphone connected to the computer as the demonstration is unfolding or can be added later at the editing stage of the process. The software can also be integrated with Microsoft Power Point so that a Power Point presentation can be “stepped though” as if in a live situation and again, narration can occur “live” like in a real lecture or can be added later. Camtasia Recorder can also be used to capture game play, online activity or just about anything else you are engaging in on a computer where it is installed. Once the recording is complete, the video file created can be saved for later processing or can be automatically sent to the editing component of Camtasia to be further adjusted. Camtasia Studio is the video editing part of the suite which can be used to make various changes to the recorded video file and enhance it in numerous ways. Multimedia assets such as still image files, audio files and video files from other sources can be imported into the editor and added to a project to create a professional presentation. Camtasia Studio, although integrated into the overall suite, can also be operated as a stand alone editor allowing the use of unlimited editing tracks, transitions for in between clips, the use of overlays, pan and zoom effects and much more. It can be used to add and modify audio with everything being displayed as tracks on a timeline much in keeping with other video editors of its class. The program allows the importation and manipulation of a wide range of multimedia video, still image and audio file types. Final output can be exported to all currently popular video formats including MPEG-2, MPEG-4, WMV, AVI, and Adobe Flash. The editor also offers an extensive list of preset output formats and parameters for uploading to online video sites or distribution to the many different viewing devices available today from tablets to mobile phones to DVD. Why a Dedicated Screen Recorder? In looking at Camtasia the very first question you need to ask yourself is whether or not you really need a screen recorder. The truth is that it is the recording component of the suite that is the key ingredient, the main event. If you just need an editor then there are many other choices at a lower cost. If you do need a screen recorder then I have no doubt that Camtasia is the best around… unfortunately the problem is that everything that makes it the best is pretty well hidden from view! So let’s take a look at some of the most hidden of these. When your computer displays anything on the screen it is simply a stream of digital data formed in a very specialized way optimized for computer screen display. It is definitely not optimized for video display outside of that environment and is not in any way a video stream. Camtasia Recorder intercepts this stream of data, analyses it, converts it into a video stream, enhances it to improve the resolution and clarity then saves it to a video file. This sounds kind of simple but the technical hoops it has to jump through to achieve this are pretty formidable. Camtasia has to be able to perform its tasks regardless of how resource intensive the program or activity you are recording is. For example if you are recording a demonstration of how to perform a task in Microsoft Word then Camtasia and Microsoft Word both have to be running simultaneously. The same goes for perhaps doing a demonstration of some video editing. The video editing software and Camtasia both have to be running at the same time. This means that Camtasia Studio has to be, and is, extremely efficient in its use of the computer’s resources so as to not cause the other program running to fall over. It has to be coded in such a way that it is exceptionally cooperative with a wide range of other software programs. 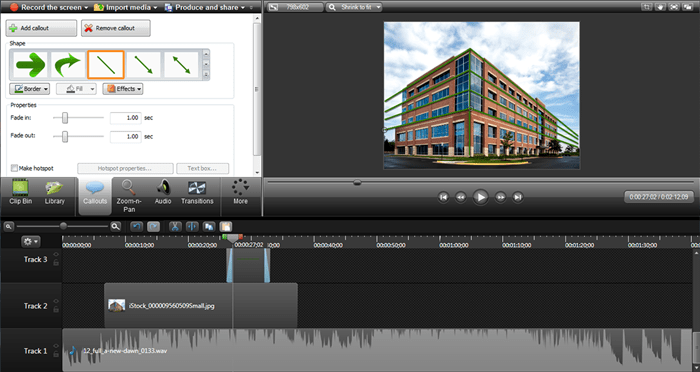 This is not an easy task for any software, yet Camtasia Recorder seems to do it effortlessly. And that’s what I mean about the program’s best features being hidden. Like just about any modern software suite around these days the features of Camtasia both in the Camtasia Recorder module and the Camtasia Studio editing module kind of go on and on forever so I’ll just list the highlights and why I think they are of value. In addition to all of what I have mentioned so far, we also need to take a closer look at the seemingly simple act of recording action on a computer screen. What you have to keep in mind is that what you will be expecting is a clear, sharp video showing what you did on the computer while you were recording. The problem here is that the resolution of your computer screen may not necessarily match the resolution that you wish to output your videos to or, you may want to record only part of your screen yet still expect to create a “full screen” video from that partially recorded screen. The technicalities of that just go on and on. The beauty of Camtasia is that it is set up to automatically “work out” how best to record your screen or part of it based on what you want to do with the recording in the end. In fact Camtasia comes with a huge array of preset recording (input) and output parameters built in to profiles you can use “out of the box’ or which can be adjusted to your own needs and saved for future use. In addition to that the Recorder can be used to record narration as you are making your video and offers the choice of recording the computer system audio as well (mouse clicks etc) and is also able to record from a web cam connected to the computer. As an editor Camtasia Studio is well on a par with the current batch of modern video editing software and pretty well matches them feature for feature in the area of general editing. To be clear here though, Camtasia Studio is an excellent editor from the perspective of what it was designed for and that is recorded screen videos. With that in mind here are a few of the more standout features it comes loaded with. First of all unlike most other programs it can be synced with just about any handheld or mobile device on the market which makes importing video from these sources a complete breeze. It also integrates with the speech recognition software that comes as part of the Windows operating system. This allows you to very quickly and easily create text files of any voice tracks in your videos which can then be automatically added a subtitles or closed captions. Bear in mind that you do have to “train” the Windows speech to text module to understand you correctly. It comes with unlimited tracks available on the timeline and treats all tracks the same. This means you don’t have to designate a track as being for audio or video or masks or whatever. This is handy for when the timeline starts to get a little busy. You can just drag the ones you are currently working on to the upper area of the work space for convenience then drag them back down when finished. The program has a very good green screen module and offers excellent control over the process as well as being very forgiving of green screen video that wasn’t created particularly well. As I already mentioned the real purpose of the software is to create demonstration videos and because of that the control you have over Callouts is extremely good. Callouts are things like text boxes or arrows that you can use to indicate something on the screen or emphasize a particular action or point you are making. The program has reasonably good audio features but again, given the intended use of the product they are more than enough in most situations. Another feature specific to this software derived from the basic purpose of making demonstration style videos. This is an automatic feature whereby the software detects when you are moving your mouse to an item and clicking so automatically zooms in to make sure whatever it is you are doing on the screen can be clearly seen. You can of course manually do this and also manually adjust anything the software does automatically however the smart focus works exceptionally well. Camtasia is arguably best in class for the purpose of screen recording and there is nothing else around that I know of that can compete with it. It is intuitive and most importantly is designed in a way that ensures you can get the best possible recording in the best possible way based on what you want to do with that recording in the end. As far as a video editor goes Camtasia Studio is a very good editor and although not in the same league as some of the equivalent purpose built video editors, brings more than enough to the table to justify its existence. It offers exceptional control over those specific aspects of screen recording projects that you would be most likely to need such as callouts and the ability to zoom in and out on what you are doing onscreen. Bottom line is that I use it myself and have had a copy on my computer for years now. I would like to know if there are keyboard icons available for the different editing tasks for Camtasia 8. If yes, where and how may I obtain these? If not, how can I create them? I would like to construct a diy edit controller to handle the basic editing tasks. There seem to be ample available for other video editors such as Avid, Pinnacle, Powerdirector, etc. Do you mean Keyboard Shortcuts?